GEORGE Briscoe Kerferd (1831-1889) was a purposeful, energetic community leader who gave many years of great service to Beechworth and the state of Victoria. Arriving in Victoria in April 1853 from his birthplace of Liverpool, England, Kerferd tried his hand at mining in Bendigo before establishing a successful wine and spirit business (1854) and later a brewery (1856) in Beechworth. Kerferd laid the foundations of his political and legal careers in Beechworth. First elected to the Municipal Council of the Borough of Beechworth in May 1857, he was Chairman for three terms between 1858 and 1864. During his time in local government, he was actively involved in the establishment of the Beechworth Public Library and Athenaeum, the Burke Museum and the Ovens District Hospital and Benevolent Asylum. He was largely responsible for the design and implementation of Beechworth’s water delivery and storage system, known as Lake Kerferd, which is still in use today. He was also instrumental in linking Beechworth to Melbourne by train. The train line is now part of the Murray to Mountains Rail Trail. 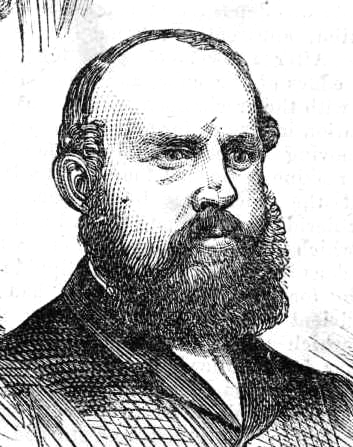 Kerferd was elected to the Victorian Legislative Assembly in 1864 and represented the Ovens District passionately for the following 22 years. On moving to Melbourne, he pursued his youthful ambition of studying law and was admitted to the Victorian Bar in 1867. His legal training served him well as a government minister, Attorney-General and Premier of Victoria. It was during these years that he established his reputation as a fine public policy debater and formulator of laws. The culmination of his distinguished career was his appointment as a judge of the Supreme Court of Victoria in December 1885.